Melanoma is the most damaging kind of skin cancer, but prompt diagnosis and treatment from an experienced dermatologist like Holly Hanson, MD, in Eden Prairie, Minnesota, can be highly successful. According to The American Society of Clinical Oncology, most melanoma sufferers are cured during their initial lesion removal, so don’t hesitate to reach out for help. Book an appointment for melanoma help in Minneapolis Twin Cities online or by phone today. Melanoma is the most dangerous kind of skin cancer. While it's far less common than basal cell carcinoma and squamous cell carcinoma, melanoma diagnosis is on the rise. From 2008-2018, the amount of new melanoma cases increased by 53%. Melanoma can be fatal, but early treatment could save your life. The Skin Cancer Foundation estimates the five-year survival rate for melanoma sufferers at 99% in cases where the melanoma is diagnosed early. One of the most common signs of melanoma is a new mole, or a mole that changes in color, shape, or size. Although most melanomas appear as new growths on the skin, some start within existing moles and are very hard to see at first. Close regular inspection of any existing moles on your body is important for this reason. If you notice any new moles or changes to existing moles, promptly see Dr. Hanson for an exam. Who is most susceptible to melanoma? Before age 50, women are more prone to melanoma. By age 65, the reverse is true: melanoma occurs more than twice as often in men. At age 80, the difference is even more pronounced: the melanoma rate in men at 80 is almost triple that of women the same age. If you have one or more of these risk factors, it's important to take precautions now. This includes using sunscreen when outdoors, minimizing your time in the sun, and closely monitoring your skin for changes. 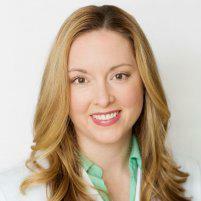 Dr. Hanson may recommend a medical-grade sunscreen from SkinMedica®, EltaMD®, or SkinCeuticals®. You may also need to wear protective clothing when you're out in the sun. Removal of the cancerous lesion is typically the safest and most effective solution. The removal method varies based on the size of the lesion, its location, and whether it has spread to other areas. Although other types of cancer are sometimes treated through nonsurgical means, like lasers, melanoma generally requires full removal for your safety. Dr. Hanson always uses the least invasive treatment possible to remove your melanoma growth completely. Use the online booking tool or call the Holly Hanson, MD, office anytime to schedule an appointment.